The Migrant Caravan Headed for the U.S.
On October 12th, a group of around 200 people gathered in San Pedro Sula, Honduras to start a caravan headed towards the United States. Now, around 7,300 people from Guatemala, Honduras, and El Salvador are going through Mexico, heading towards Texas to seek asylum in the United States. These are people that are fleeing from their home countries, mostly due to poverty, to try and have a better life for themselves and their children. 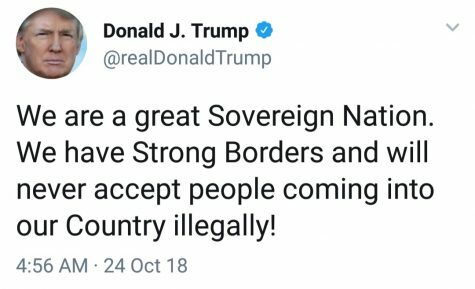 However, President Trump has been continuously opposing the caravan, calling the individuals seeking asylum “criminals and unknown middle easterns”. 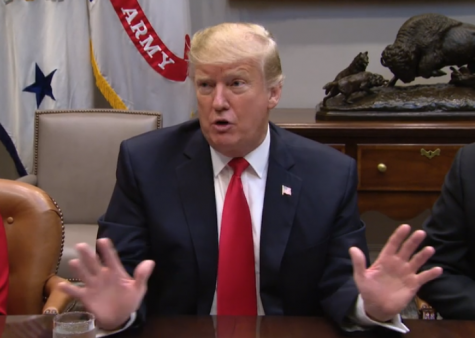 He has also stated that we should “blame the Democrats for not giving us the votes to change our pathetic Immigration Laws!” and that the United States will now begin cutting off or substantially reducing foreign aid that they regularly give to these countries because they were unable to stop the caravan from leaving their countries, including Mexico. Alexander Lallman (12), had a somewhat different opinion to Ariel, stating, “I feel like we should allow everyone in the caravan to get a green card and run background checks on them to see if they have committed any crimes or plan to. If they check out, then we should allow them in with open arms. However, after seeing Trump’s comments, I do not think that he will allow them to enter the United States.“ With opinions on what to do being so different, what is going to end up happening still remains questionable.